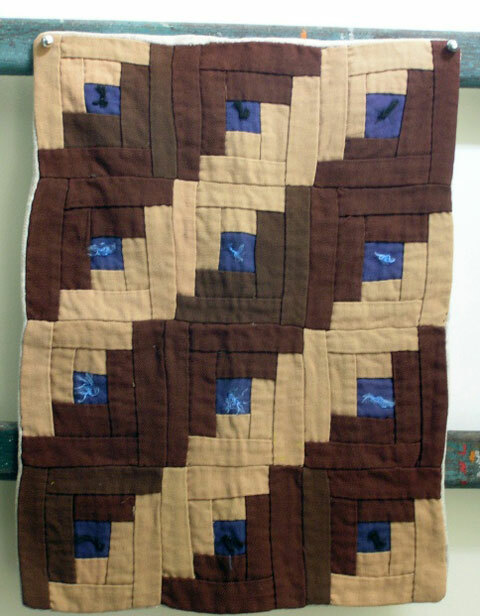 This little log cabin doll quilt in all the right colors: brown, tan and blue. 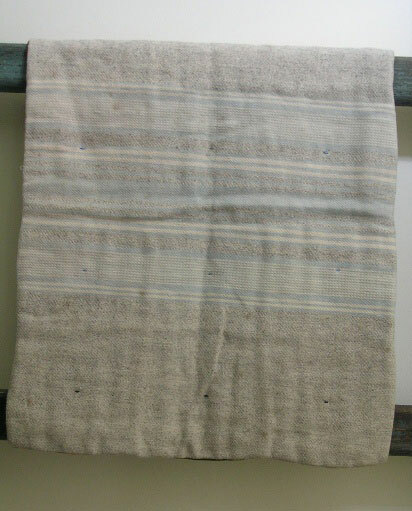 Measuring 14 ½ inches long by 12 ¼ inches wide, it is fashioned out of a cotton twill and is in excellent condition with no rips, holes or tears. 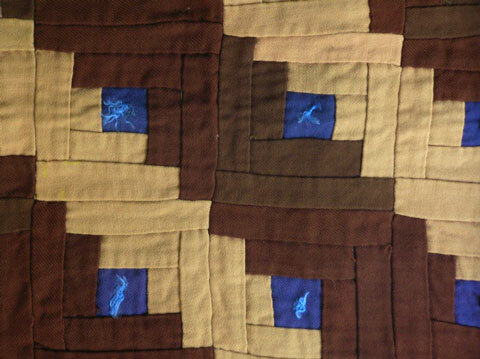 The log cabin top, which is hand-pieced, is “knotted” with silk floss to the quilt back which appears to be part of an old gray woolen blanket. Dating to the late 19th/early 20th C, it was found in Lancaster County, Pennsylvania. It is definitely graphic and an “eye-catcher” wherever it is displayed.